In case you haven't found her, Ana White is an inspiring builder-mom from Alaska. She posts free plans for furniture, toys, household accessories, yard items, etc. 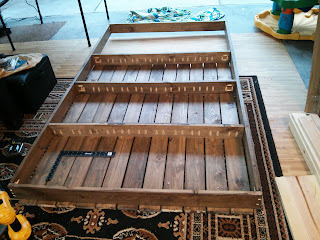 I encourage you to check out her site and build something this weekend! 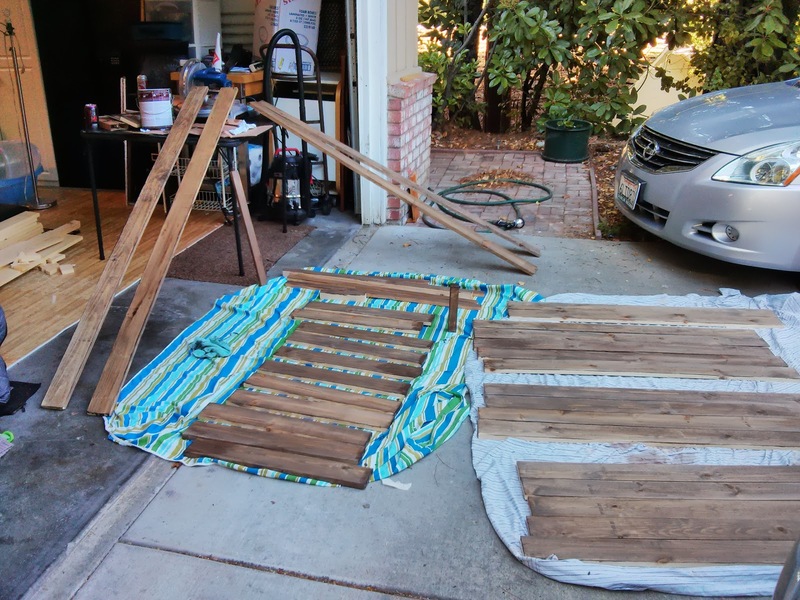 What a weekend it is--I am going to have a whole extra day of childcare, err, Dad at home, to get this current project done. 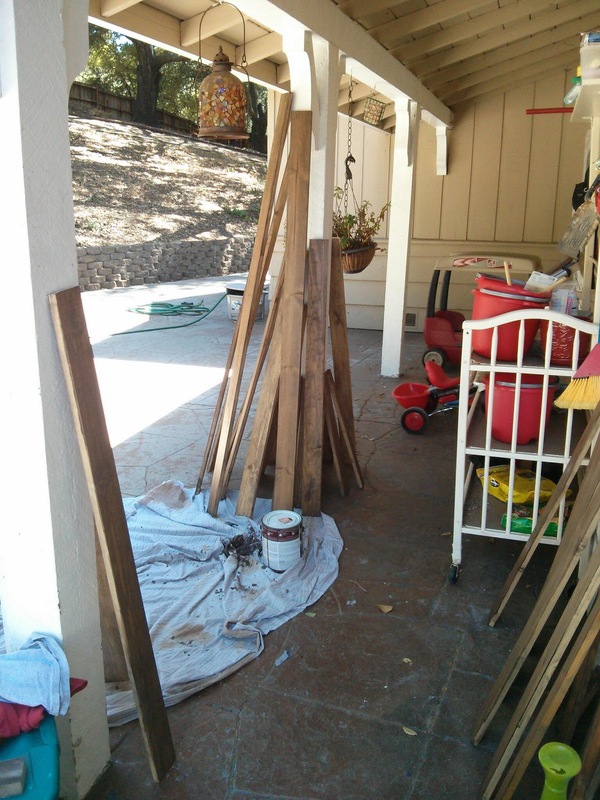 So far the wood has one coat of stain. 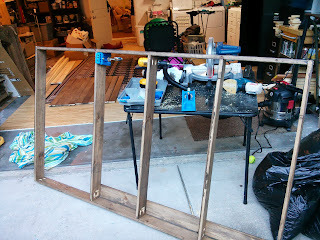 I am trying to get all the staining done before the weekend begins, so I can just build build build come Saturday. I will post updated pics as I complete stages! 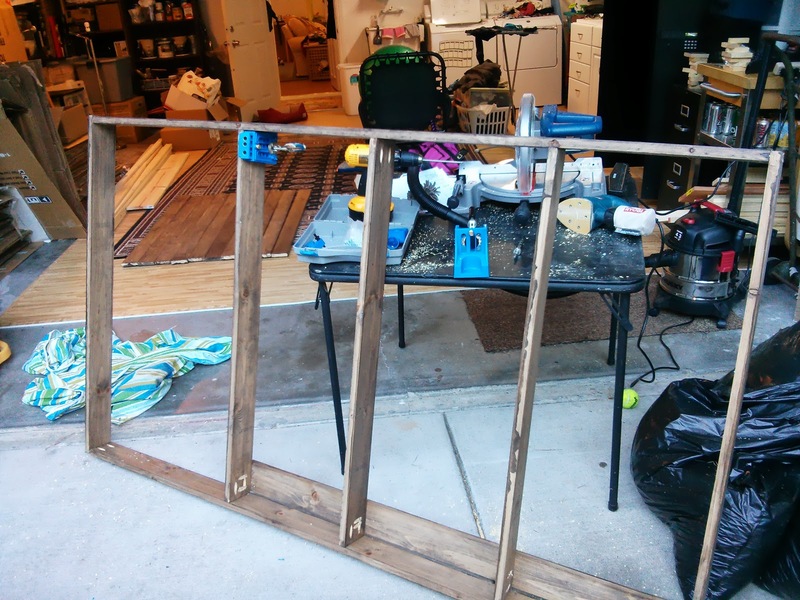 Framed the base, and starting with the pocket holes for the slats. All 11 slats are screwed in--22 pocket holes per joist, and 4 joists...88 screws, but very secure and no visible holes on the top of the piece. 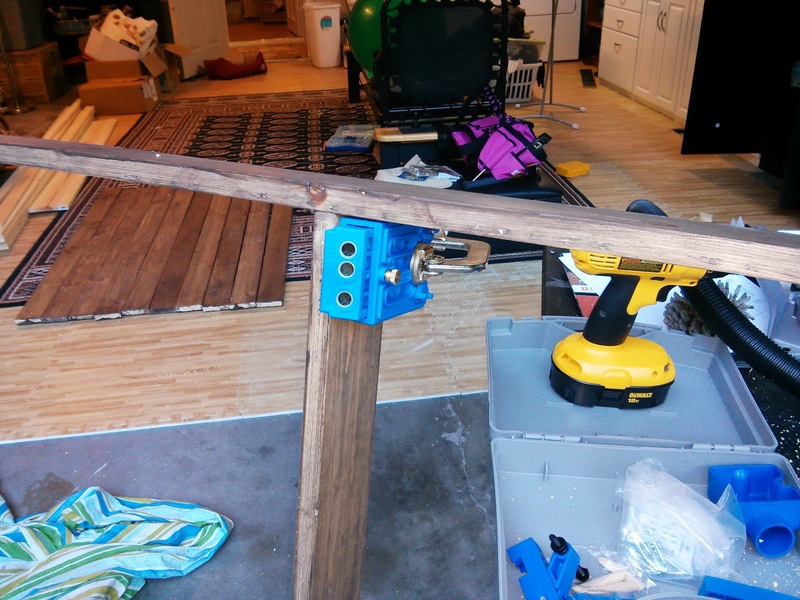 Using the Kreg Jig as a portable unit to predrill all those pocket holes. 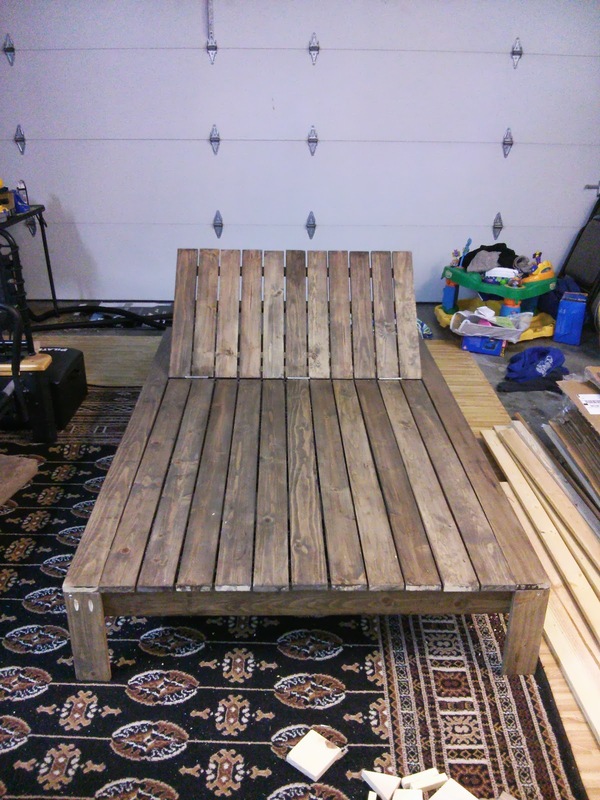 So it is totally assembled, and just needs a touch up on stain, a few holes filled with wood filler, and some cushions sewn! The legs seemed a bit weak, so I reinforced with some brackets behind each leg, and will probably add a notched 1x4 behind each leg, for strength. 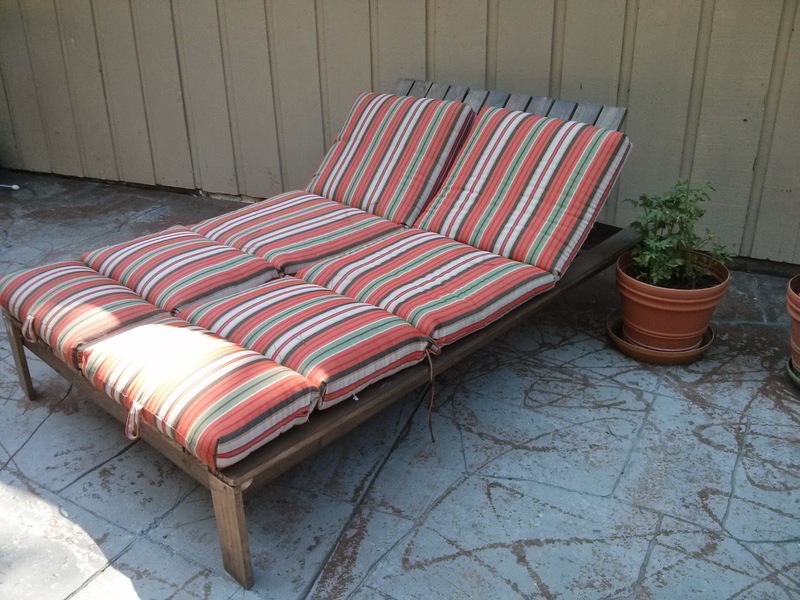 I was thinking of sewing custom cushions for the chaise, but outdoor foam is pretty expensive. 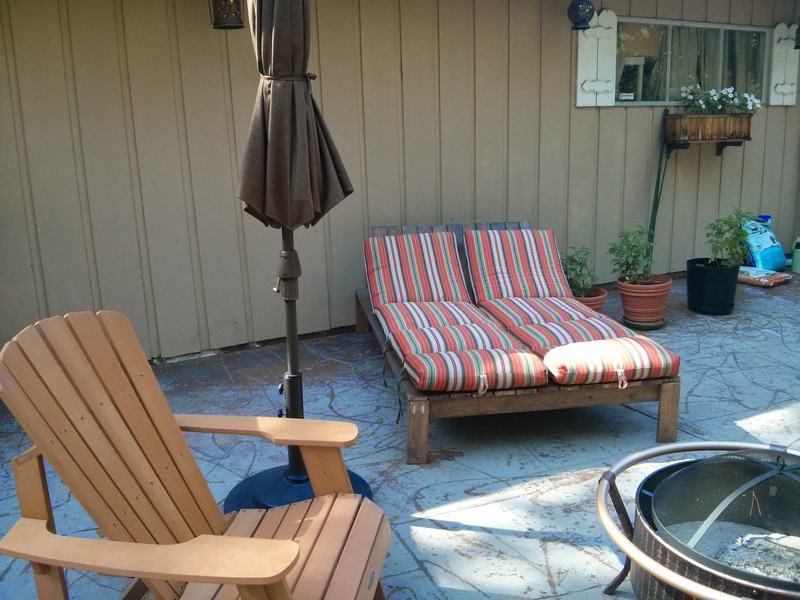 I decided that two regular chaise cushions side by side would be just fine!